The versatility of individual programs seems to grow daily. Just as we have watched technology move from bulky desktops to laptops and now to handheld devices, so too have some applications gotten more compact and portable. Nowhere is this more apparent than in portable applications, programs condensed to the size of a small flash drive for portability. It is great to be able to carry your preferred programs around in your pocket. If you have been downloading and using portable applications from the popular PortableApps project website you may have noticed that they always start up with a splash screen. Surprisingly, for those using the free PortableApps program, getting rid of these inconvenient screens is not difficult at all. In about five minutes, you can remove them from your favorite portable application for a seamless startup. That's right. PortableApps has already assumed that some of its users would find the splash screens unnecessary and programmed in a way to adjust them away. Go ahead and change “false” to “true” and save the file. You should see a few other files and folders like “App” and an executable file with the same name as the text file you made a copy of. Go ahead and paste the file into this directory. Then test it out. If everything worked properly, your portable application should boot up without interrupting your screen with a splash. Now you can enjoy your favorite programs on your flash drive! On the off chance that you ever decide you want the splash screens back, simply delete the .ini file that you pasted in the higher directory, PortableApps\Yourapp. Be sure not to touch the original copy of that file that should still be in the deeper directory. Keeping it available means that even if something happens to the active file you should be able to revert your settings to whatever configuration you preferred. If you have problems getting the splash screen to disappear it is probably because the application's launcher is not seeing it at startup. Make sure that it is in the program's main folder, otherwise it will skip over the .ini file completely. Also, if you have multiple .ini files in the \Source folder, just browse through them until you find the one with the disable splash screen line. Using this, you will no longer be disturbed by the splash screens that many find incredibly annoying after the first few views. I kinda like the splash screens, but it’s good to know that it can be turned off. In the final 2.0 release, you’ll be able to tick a box and disable the splashes on nearly all our apps without ever needing to open a file. The reasons for the splashes being included are in that link as well, especially preventing users from launching an app more than once because it’s running from a slower flash drive and takes nearly a minute to launch. The splash lets the user know that, yes, the app is starting. We’ve also programmed them to stay up as short as possible where we can, generally about 1.2 seconds. They run in parallel to the portablization code and the actual app starting up, so whether they show or not, your app takes the same amount of time to start. And they’re all programmed so you can click on them to make them disappear. 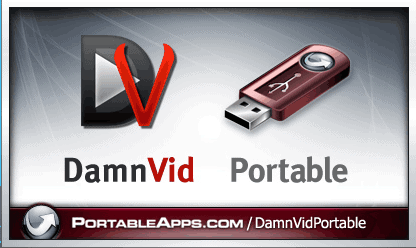 Even easier – don’t download from portableapps. Just go to the actual website and most already have a portable version available for download. If they don’t, their installation packages almost always can be unzipped using 7zip. You can just take the content, throw it into a folder and voila a portable app. On the rare occasion, you might have to use uniextract – but this is not normal. One thing to say about portableapps – their definition of portable does NOT include making sure registry entries are cleaned up after the program is closed. I take it that staying true to “portable” (being can run without installation and leaves no registry traces) is too much work. Most of the apps we package at PortableApps.com have no portable version at all. Of those that do, the majority fall into the realm of what we refer to as ‘kinda portable’, meaning they may leave registry entries behind or files in APPDATA or TEMP or certain things break as you move PCs like the most recently used files or specific settings in the app, etc. Nearly everything you use 7-Zip or Universal Extractor to get out of an installer falls in this category. If you ever find an app of ours that is leaving something behind, please be sure to report it in our forums (preferably with a [Bug] prefix on the subject so it shows up in our bug tracker). We hate bugs and fix them as soon as we can. All are portable by unzipping save the browser items. I will post back on your site the listing I have of 10’s of programs that leave things behind. I always run on a clean VM just to make sure I didn’t already have some left over garbage from another installation. Google Chrome, Foxit, Firefox, and GnuCash don’t have portable versions available and are not portable with an unzip or extraction from an installer. Some of the others like Notepad++, FileZilla, Opera and Sumatra have ‘sorta portable’ zips available but leave things behind (registry, APPDATA, TEMP and/or all 3) and/or break bits as you move PCs. Even 7-Zip, which you mentioned as a way to get files out of installers, stores its settings in the registry and it’s up to our launcher to make it portable.